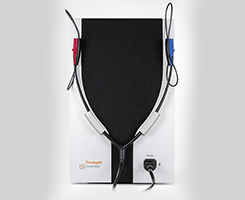 Give us a call and let us determine the best audiology equipment for your needs. As medical equipment suppliers and distributors for a variety of different manufacturers, we pride ourselves on bringing you medical grade equipment for use in doctor's offices, schools, and other occupational health facilities. Consult with Instrumentation Associates Inc. in Philadelphia, Pennsylvania, to learn about our offerings, services, and service plans. 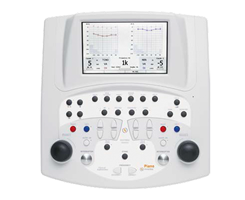 Whether you need an audiometer calibration, tympanometer calibration, or other audiology products, turn to Instrumentation Associates Inc. We have been helping occupational health companies, primary care physicians, and schools provide hearing consultations and tests to their patients and students for over four decades. 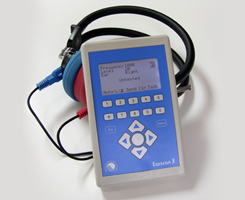 From instrument calibration to repair, we do it all. Just let us know if you are in need of help or are in need or product repair and your service technician can be made available on-site within 24 hours. Experience the service difference with Instrumentation Associates Inc. We look forward to serving you. Keep our operational support on a retainer of sorts with one of our three service plans. Audiologists and health care providers rely on us to provide them with the repair and calibration services they need to keep their businesses running effectively and efficiently. Learn more about our plans and loaner programs. "For the last eight years, Instrumentation Associates has been an invaluable resource for the hearing support program at the Montgomery County Intermediate Unit. Whether it was working to design a new sound treated booth or assist with audiometer calibration, IA has been a source of great knowledge. The entire team is patient, accommodating and supportive. I would highly recommend IA!" "Busy Audiology clinics cannot afford to have their equipment intermittent or not functioning. Cancelling a patient due to equipment malfunction is both revenue lost as well as poor customer relations. Instrumentation Associates has consistently provided me with equipment that is rugged enough for everyday use, reliable for years of service and prompt repair calls with replacement parts when needed. As I continue to purchase new equipment from Instrumentation Associates, I have the confidence that they will provide me with the Staff Training required, the supplies necessary and the service support needed to keep my Audiology clinics open and running.” Thank you John and all the support staff at IA. "Dr.